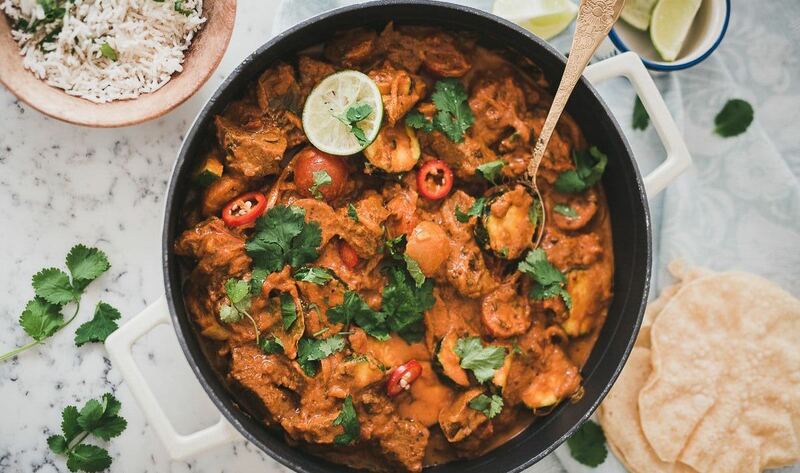 As we’re heading in to spring, this is the perfect time to shape up you cooking skills and family dinner time offering with some delicious lamb recipes and this lamb curry is at the top of my list. 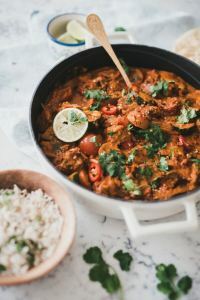 Whilst you might not think of Lincolnshire when it comes to curry, us Brits have adapted and tweaked the traditionally Indian dishes over the past years and made it one of the most eaten dishes in households and pubs around the UK. The great thing about making a curry from scratch, is you decide how it tastes and how hot is it, give or take a few staple ingredients. Whilst this packs in a few spices, just hold back on the chilli, if you want to tone down the heat. To start with, make the onion purée which will form the sauce base for the curry. To make this, place 2 onions, diced into a heavy based sauce pan with 50ml olive oil and gently fry for 10 minutes, until cooked and softened before adding the butter or ghee and honey. Cover with water, making sure all of the onions are covered and cook for 1 hour at a simmering heat, allowing half of the water to reduce. Once cooked, blend and leave to one side until you’re ready to add this to the rest of the dish. 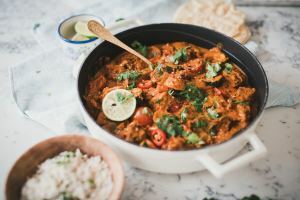 In a large heavy based frying pan, gently fry one onion, diced with the remaining 50ml of olive oil for 5 minutes before adding the mustard seeds, garam masala, curry leaves, caraway seeds, cardamon pods, crushed chillies, turmeric, cumin, ground coriander, fresh garlic and chillies and cooking for a further 5 minutes, occasionally stirring. Add the tomato Purée and fresh tomatoes to the pan and cook for a further 1 minute, string together all of the ingredients before adding the chicken stock and tinned tomatoes. 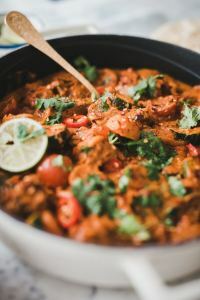 Cook for a further 20 minutes to reduce the mixture and place in the cubes of cooked lamb, simmering for 15 minutes, before folding in the onion puree and placing into an oven proof dish and cooking for an hour at 140ºc. Serve with basmati rice and top with freshly chopped coriander.